Now special offer only $2689, Please contact us 86+755-81718605 or sales@obd2tool for a demonstration. 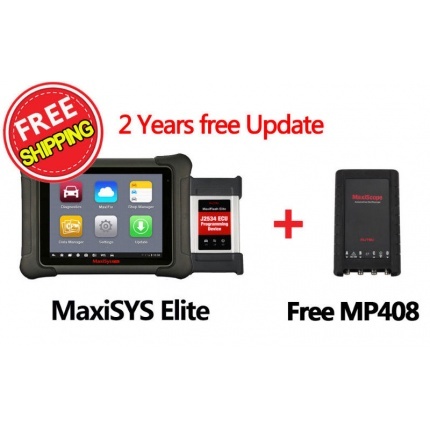 - ECU CODING & PROGRAMMING: Worked with J2534 Pass-thru device, MaxiSys Elite is capable of ECU programming for Benz and BMW. Autel is one of the world's leading manufacturers and suppliers of professional diagnostic equipment and accessories in the automotive aftermarket. MP408 is a PC based 4-channel automotive oscilloscope. It works with PC or MaxiSys Tablet, providing users with an insight to the inner workings of a vehicle's electronic circuits.